We Want To Steal Janhvi's Dhadak Promotion Looks For The Next Summer Wedding We Attend! 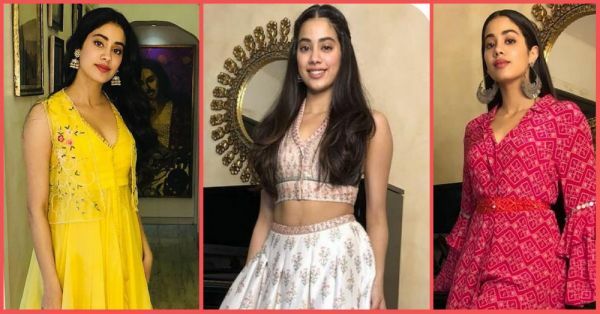 Janhvi Kapoor's debut movie Dhadak releases later this month but the pretty actress has already become a fashion icon and a paparazzi favourite. Her drool-worthy outfit choices during the Dhadak promotions have put her right on top of our best-dressed list. Celebrity stylist Tanya Ghavri and Priyanka Kapadia have been styling her in gorgeous lehengas, anarkalis and even some really cool ethnic pantsuits and the elder Kapoor sister has been rocking it all like a pro. Moreover, Janhvi's looks make for the perfect shaadi dressing guide. Calling all wedding guests, browse and get inspired to copy her looks this shaadi season. Janhvi Kapoor started off her Dhadak promotions in a beautiful yellow anarkali paired with a sheer floral embroidered jacket by Anushree Reddy. Janhvi finished her look with just a pair of silver jhumkas and wore her hair down. Quite a look for a haldi function we say. For another event, Janhvi picked a stunning ivory toned sleeveless crochet frilled top and skirt by Surily Goel. She kept her overall look very simple with middle parted hair and minimal makeup. Bridesmaids who have a thing for whites, this outfit should fix you up for a cocktail or reception party. We love those frills! There's something so serene and beautiful about this gorgeous white floral Anita Dongre lehenga. Wearing her wavy, textured hair down with side braids and a dash of dewy makeup, Janhvi nailed the look. Attending a beach wedding? This is your go-to outfit! 4. Heard of ethnic pantsuits? We haven't seen an ethnic pant suit so gorgeous before. This beautiful Anushka Khanna red and pink pantsuit with flared sleeves is just what we were looking for this wedding season. Perfect for an easy breezy chic look for a mehendi or sangeet. And we cannot get over the statement silver jhumkas, so chic! White seems to be Janhvi's fave colour! For the song launch of Dhadak, the young actress looked stunning in a white anarkali by Sukriti and Akriti. The anarkali featured intricate floral embroidery and the amrapali earrings completed her look that's just apt for a day wedding. This beautiful combination of a pink and white custom made skirt and top by designer Punit Balana is a must-have for your bestie's wedding. 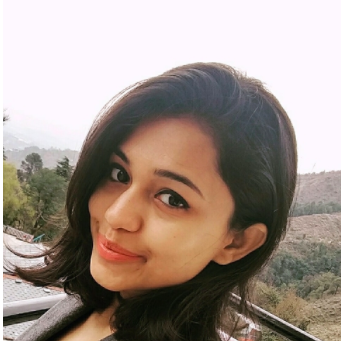 Once again, Janhvi opted for middle-parted hair with natural soft curls for that neat and fuss-free look.